Viewed recently by 15 people. Sleek and modern, our serviced apartments in Lincoln Plaza offer an outstanding place to stay during your business trip to London. Guests can expect ultra-modern living spaces dressed with chic and simple furnishings in cool, clean tones. 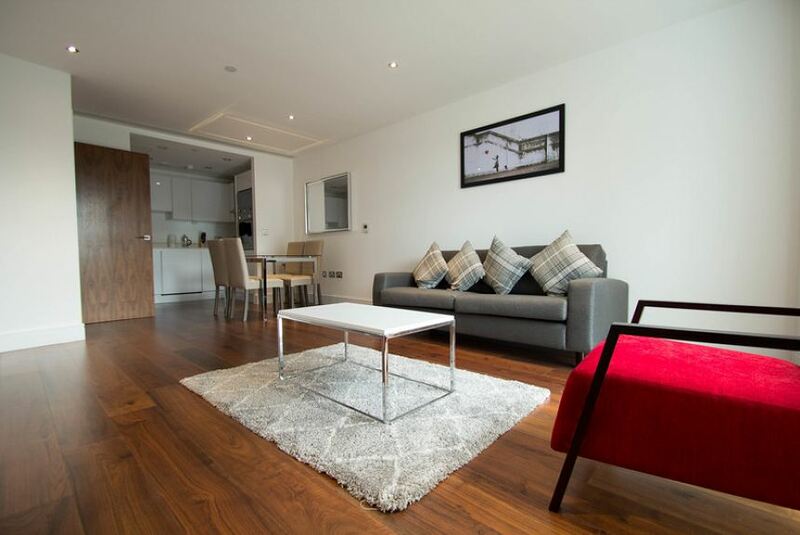 The apartments are open plan and bright; designed as a splendid place to call home. The kitchen has an elegant suite and is finished with all the fittings and features needed to make your own meals and show off your inner chef. The flat screen TV and cosy furniture are the perfect additions to help you relax after a long, arduous day. A balcony gives you an excellent view of the area, and a great place to watch the sunset. Rich wooden floors, soft spot lighting and a style-led curation of tasteful furniture completes the indulgent atmosphere. Our timely and efficient guest services team are available 24/7 to help with any queries you may have and offer advice on the area. GBP150	* Check your country's current exchange rate for the exact deposit in your currency.